THE FLAME BULBS HAVE BEEN DISCONTINUED. WE ONLY HAVE A FEW LARGE LEFT IN STOCK. PLEASE CALL TO CHECK AVAILABILITY. Change any lighting fixture to “open flame” fixture simply by changing a light bulb. 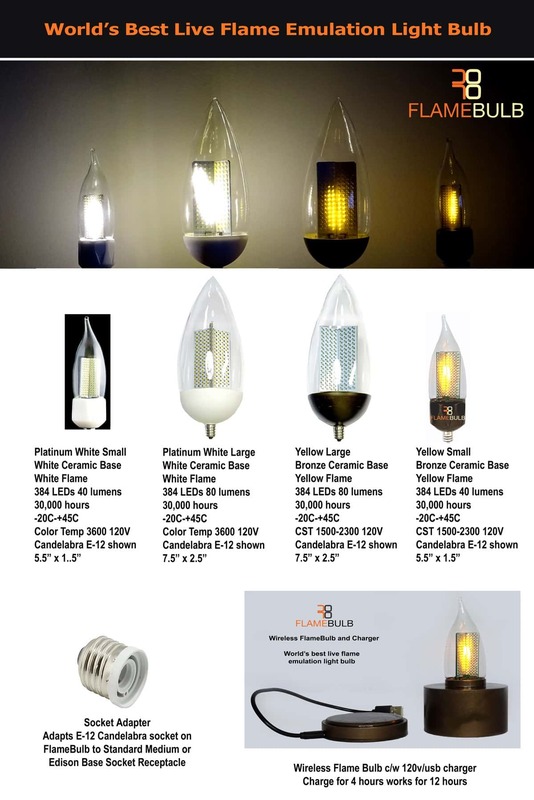 Call St. James Lighting for pricing.